Located on the corner just after you cross the bridge into town, greenwater garage is on the right. 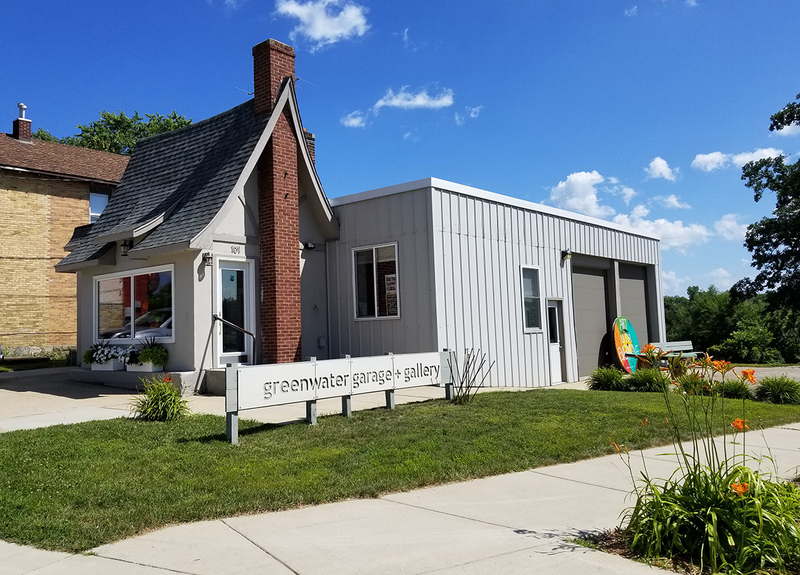 Greenwater garage + gallery is an art studio, creative workspace and retail art gallery. You can attend visual art workshops, connect with other creatives, buy local artwork and find out more information about artists in the area. Public parking is available on the street or in the public lots by the access and the dam.